If you need price details or prefer to order a free viewing all you got to do is call up 020 3746 1366 or fill in our booking form. We could process your request right now! Our expert gardening company in Ealing Common W5 has been in the marketplace for TEN years. We always mention that our success is as a result of the big inspiration we`ve got to advance in our services and to leave all clients happy and satisfied. At this time, professional garden maintenance services have more than 15 thousands of happy clients. This means 15 1000s of lawns kept in the right condition. We do provide lawn mowing and lawn care - patches, reseeding, fertilizing, watering edging, as well as special autumn lawn care and spring lawn care like lawn aeration lawn repair, lawn scarification, and lawn feeding. Take note that Ashlee House Cleaning has no day-off when it comes to our effective gardening services. We can deliver you convenient offers for a regular daily, fortnightly, weekly or monthly basis. We may assist you with your entire outdoor house servicing too. Our gardeners Ealing Common W5 are trained and equipped to carry out a thorough downpipe and gutter cleaning in order to prevent clogging and water damage. We promise you complete mildew and grime removal. Our roof cleaning and outdoor window cleaning services are executed using powerful pressure washing devices and telescopic poles for quick access. If your backyard space needs to be beautified or requires regular servicing, do not hesitate and order our superb gardening services right away! We have skilled staff in garden design Ealing Common W5 who can help you with your backyard concept planning and also with the garden seeding & development. Our landscaping professionals have years of experience in delivering super quality garden design. We might help you beautify any type of outdoor space - from gardens to roof balconies. We are outfitted and able to revamp and correct even the most ignored gardens at a reasonable price. So, if you have plans for your outside space - book our garden designers now! 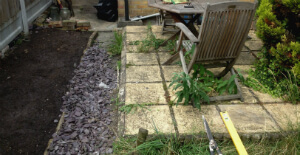 We as well offer pro jet washing Ealing Common for your garden paths, furnishings as well as for proper patio cleaning and driveway cleaning. We use professional pressure washing machines and will make sure that your outdoors space is perfectly clean from all filth, molds and residues. Our customer help reps are at your services for all kinds of garden care requests. You can schedule a viewing by our our pro gardeners by contacting 020 3746 1366 or by filling out our online request form. Our gardening Ealing Common service is available during the entire calendar year. We will arrive in any kind of weather to offer you with the gardening or outside cleaning and servicing service you will need. All of our frequent clients, plus the property managersreal estate and region agencies in the get beneficial special discounts prices. We offer additional for any request service you together Make with the gardening. outdoor your space an excellent together with spot for spending time loved ones your mates and professional - book our today gardening service !